Legal Developments In Non-Competition Agreements: Does a Trade Secrets Defendant Have Insurance Coverage? 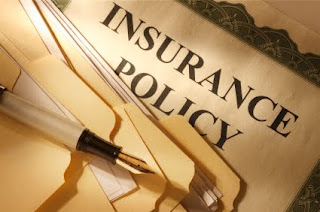 Does a Trade Secrets Defendant Have Insurance Coverage? Trade secrets litigation can be very expensive. For the type of clients that I frequently advise - small business owners - the litigation can extend to significant document production, retention of experts, and complex damages analysis. Defense costs almost always are well into the six figures. Clients often ask whether they have insurance for these types of claims. Like most things, the answer is "it depends." Usually, for trade secrets defendants, it is worth exploring whether a commercial general liability policy contains an advertising injury endorsement. If so, it is possible that there may be some coverage for defense and liability costs arising out of trade secrets misappropriation. However, I caution clients not to get their hopes up. The newer advertising injury endorsements often contain exclusions for a wide range of intellectual property claims, including those arising under the law of trademark, trade dress, and trade secret. Even if there is no such exclusion, the opportunity for coverage may be limited. In these circumstances, counsel will need to examine whether the allegations of the complaint truly implicate "advertising" activity. Advertising generally means the promotion of a product or service to the general public. It usually does not include customer solicitation. So, in the case where a trade secret is a customer list, and a defendant is improperly using that list to target key accounts, it would be much more difficult to claim that this injury is based on "advertising." However, many types of trade secrets are included within products or services offered to the public. For instance, if a trade secret is used to design a consumer product, and that product is then marketed generally to the public, a claim that the misappropriation resulted in an "advertising" injury would seem to have more merit. So to conclude, it is important to first look at your liability policy for endorsement and exclusion language that may directly touch upon trade secret claims. Absent such language, you will need to scour the allegations of the complaint to determine if there is a colorable argument that the injury resulted from an effort to sell to the public, not just certain targeted customers.